BEDS 5 / BATHS 43,385 Sq. 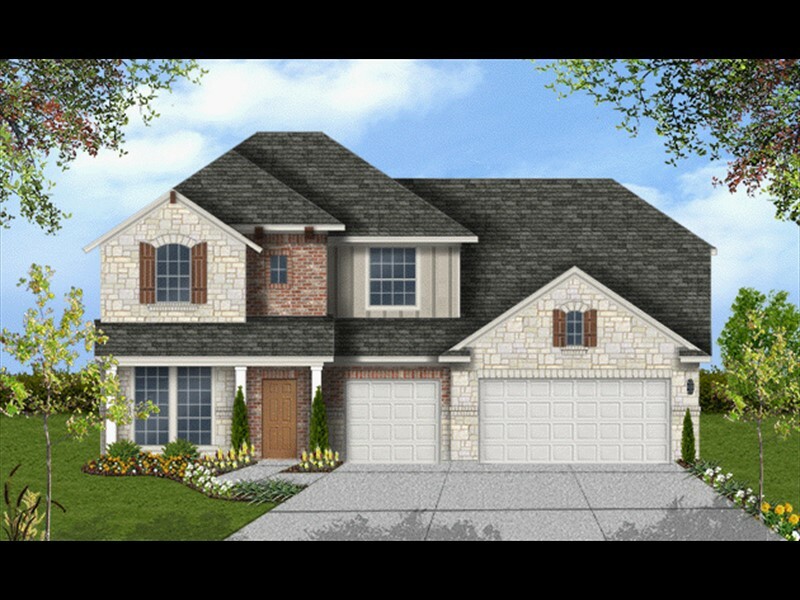 Ft.
One of our most popular plans, this home features 5 bedrooms and 4 baths and backs up to a private ranch! Upon entering the grand foyer you will pass a formal dining area that leads into a large and airy open living space. The gourmet kitchen is well appointed with lush granite counter tops and stainless steel appliances, a large pantry and butlers pass through. Enjoy the chef’s treats on the covered patio with family and friends or a game of pool in the game room upstairs. The master bath boasts a spa-like walk in shower that is spectacular and the Jack and Jill bath upstairs provides flexibility for many different living situations.This spacious home also offers a 3 car garage for optimum storage capacity! Confidence is found in our LEED, Texas Built Certification that ensures a cleaner, healthier, more cost efficient home! 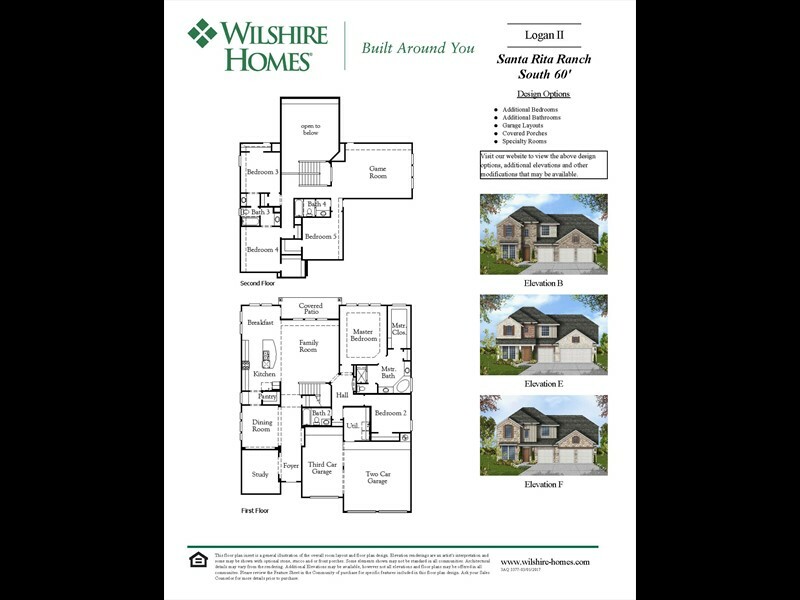 Come see this wonderful home today Visit www.wilshire-homes.com to preview all of our available floor plans or call Sheryl at 512-655-9563. ASK ABOUT OUR SPECIAL BUYER INCENTIVES!